The 808 working longshore workers in Seattle in 2013 earned an average $84,675, and averaged 48.4 years old. For the last four months while dockworkers and their employers blamed each other for congestion at West Coast ports, the Pacific Maritime Association (PMA) reported the average wage for union members was $147,000, but the International Longshore and Warehouse Union (ILWU) disputed it. In 2013 — the most recent for which there is data — 1,943 ILWU members worked at the Seattle and Tacoma ports. The base pay for a union member with at least 4,001 hours of experience was $35.68 per hour — or about $75,000 a year. Pay varies based on shifts worked, experience, overtime and if he or she is a longshore worker, a clerk or a foreman, according to the 2008-2014 contract. The longshore workers load and unload cargo, working as crane operators, tractor drivers and lift truck operators — basically operating the equipment that can be seen while passing by the ports. The 808 working longshore employees in Seattle in 2013 earned an average $84,675 and averaged 48.4 years old, according to the PMA, which hires the workers. In Tacoma the 790 members earned an average $114,024, and averaged 47.7 years old. The difference reflects that Tacoma longshore workers averaged more hours and had more experience. Dean McGrath, president of ILWU Local 23, which represents Tacoma members, says this is closer to what his members earn compared to the $147,000 a year boiler plate reported during contract negotiations. For example, McGrath became a union member in 1999. He was higher skilled and worked some nights and weekends. He worked 2,246.5 hours in 2010 and earned $110,175. In 2011, he worked 1,959 hours and earned $100,483. Clerks are responsible for performing functions related to receiving, delivering and sorting cargo and containers. The 113 clerks in Tacoma earned an average $159,469 compared to the 126 in Seattle who earned $152,924. The average age of a clerk is older than that of a longshore worker — 51.2 years old in Tacoma and 54.7 years old in Seattle. The 106 foremen in Seattle and Tacoma earn an average $203,727 and averaged 53.5 years old. Union spokesman Craig Merrilees said these pay figures do not account for the 700 “casual” workers in Seattle and Tacoma. 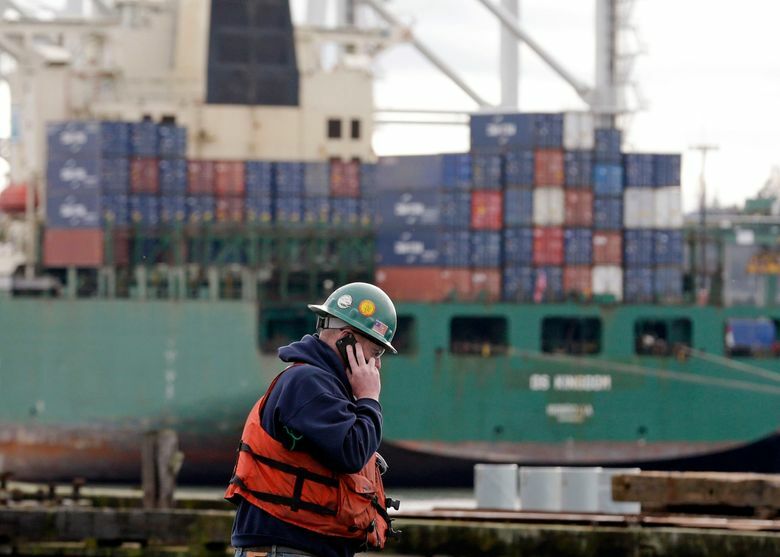 These are the part-time workers who are not yet registered ILWU members, do not receive benefits and earn less — as little as $25.71 an hour, he said.